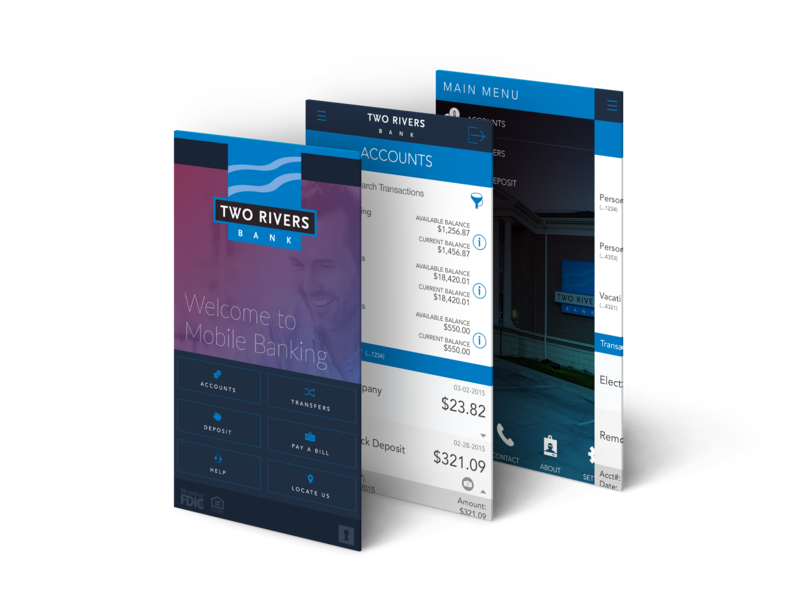 Two Rivers Bank needed a refresh on their mobile platforms and this was the end result. 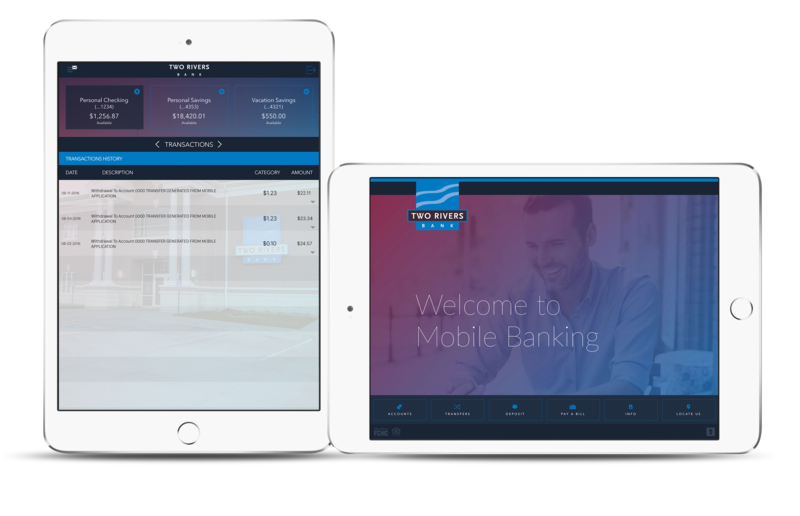 A sleek and modern take on mobile banking and a bold look for a two-branch financial institution. 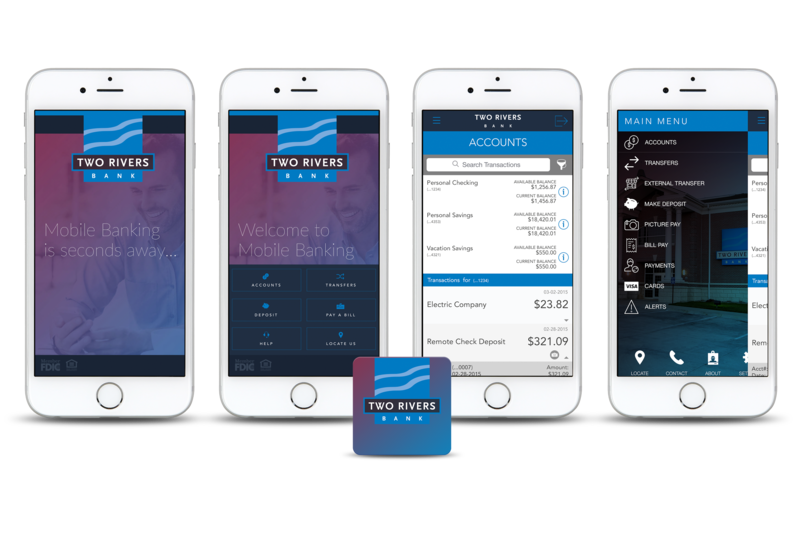 I was responsible for designing the entire native project using Malauzai’s framework by implementing content on iPhone, iPad, and Android. The navigation buttons and overall design were a direct translation of their website to ensure that their minimal and clean design reflect their brand identity making it a seamless transition for its customers.